Welcome to Lucy's League, an all female sports store that carries only the best styles for her! "Where the City of Sports Passion Meets the World of Women's Sports Fashion!" At ROSTER, every store is split right down the middle, 50% men's styles, and 50% women's styles. Lucy's League has the best of ROSTER's women's styles, filling the ENTIRE STORE! Come here for your girl's shopping day or to get a hot new style for the upcoming game! Lucy's League caters to you by providing stylish, form fitting women's clothing, without sacrificing your team spirit! Just some of the brands we carry include TOUCH by Alyssa Milano, '47 Brand, Junk Food, and Retro Brand! 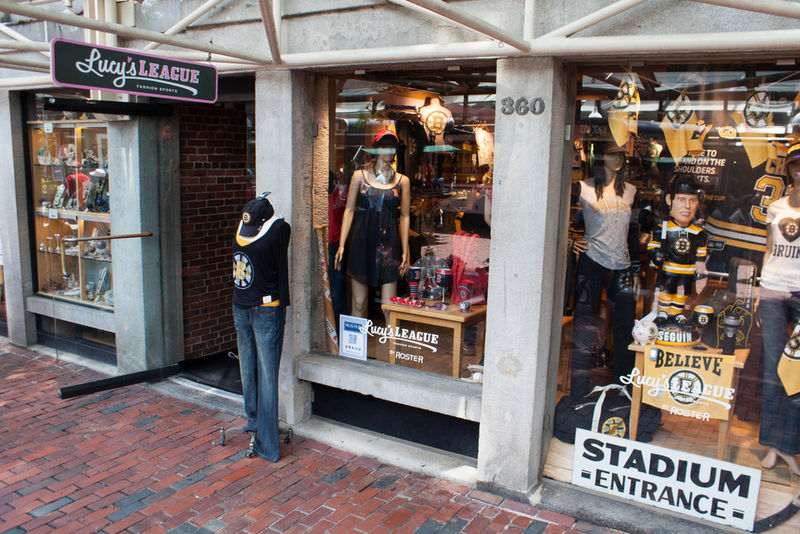 Lucy's League is located in the North Market Building of the Faneuil Hall Marketplace. Call (617)248-3986 for questions specific to this store. Like Lucy's League on Facebook!